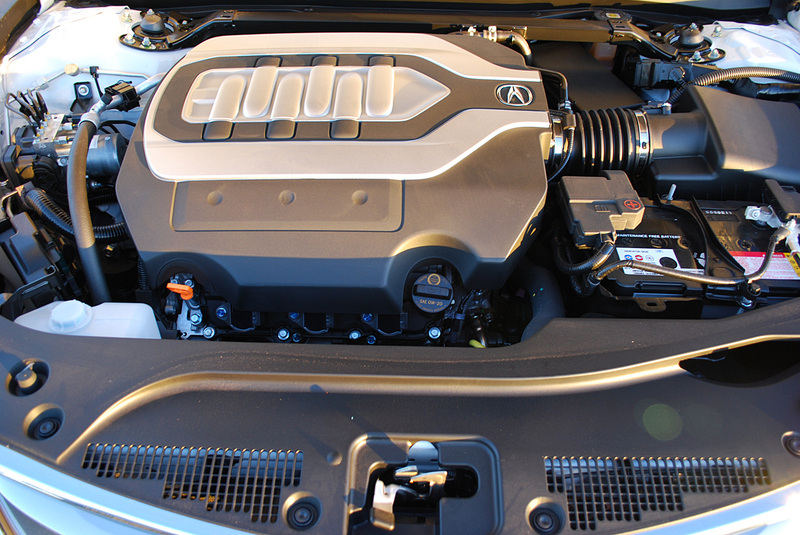 Welcome to the brave new world of Acura acronyms. Although Acura has yet to introduce a George Orwell signature version of the RLX, one should be in the offing to celebrate the 30 year anniversary of 1984. When you push the red metallic start button on the dash of the plush new RLX luxury sedan, you’ll be confronted with such a bewildering array of acronyms illuminating the instrument binnacle that you’ll need Acura’s 52 page “Advanced Technology Guide” before venturing forth. This well illustrated booklet will explain the mysteries of RLX life to the uninitiated. What, you might legitimately ask, does “CMBS” mean? The Collision Mitigation Braking System alerts you to an impending frontal crash and operates 4 stages of audible warning/brake application to lessen impact. You can even chose from 4 distances to initiate the progression. Like CMBS, FCW, or Forward Collision Warning uses a camera mounted between the windshield and the rear view mirror to warn you of impending frontal crashes. Unlike CMBS, FCW does not actually apply your brakes. ACC references Adaptive Cruise Control, which uses the same technology as FCW to maintain space behind the vehicle in front of you when you’ve engaged cruise control. In theory, ACC sounds good, but in practice it leads to a lot more braking and accelerating than you would manage with your own foot on the throttle. LDW and LKAS complete the befuddling compliment of acronym assists. Lane Departure Warning (LDW) sounds a beep if you stray from your lane without first using your turn signal. The Lane Keeping Assist System (LKAS) uses that same overhead camera to warn you of errant lane changes, while going one step further by intervening physically. LKAS actually applies correctional torque to the steering mechanism. While LKAS works to keep you in your lane, the confusing dual-image rear view mirror confuses you enough to cause lane wander. Aside from all the whiz-bang gadgetry, how does the redesigned RLX function as a driver? Pretty well, actually, especially after you first take time to turn off all the nanny nagging beeps and buzzers. 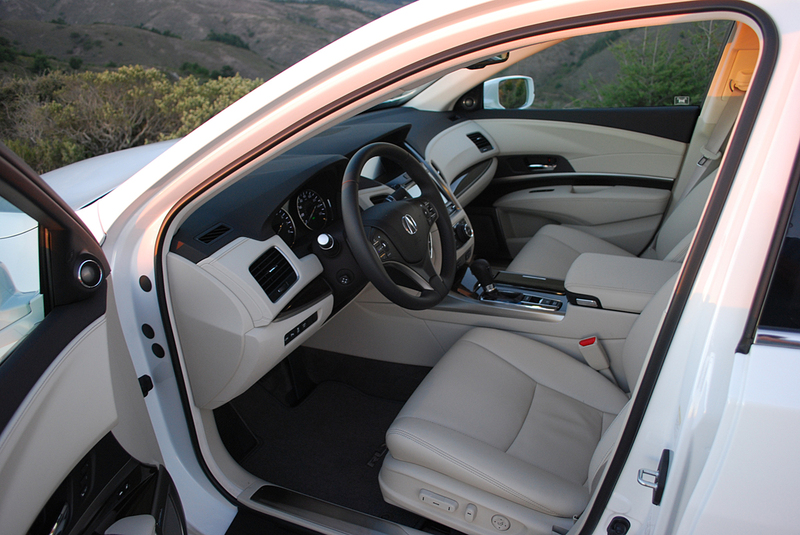 The interior is sumptuous and elegant in the manner pioneered long ago by Acura’s first offering in the luxury field, the Legend, a breakthrough sedan which pre-dated Infiniti’s Q45 and Lexus’ LS 400. The RLX is exceptionally spacious, with its wheelbase of 112 inches offering massive legroom for both front and rear seat occupants. At 75 inches, it’s also an inch wider than a Lexus LS 400, so there’s plenty of sprawl room for everyone on long trips. Because the cavernous trunk swallows 15 cubic feet of luggage, a family of 4 can comfortably vacation with all their belongings under cover. 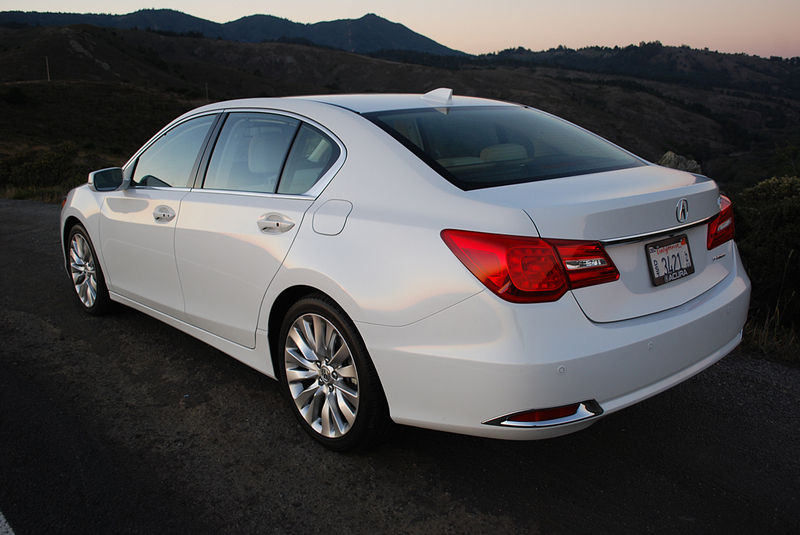 The downside of the space equation is weight, and the RLX has plenty of that at 3,970 pounds. Even though its stout 3.5 liter V-6 makes a respectable 310hp, the car’s power-to-weight ratio of 12.8 pounds per horsepower will not incite sporty driving. The RLX is so softly sprung that it will pitch you off your seat when the suspension rebounds over mild pavement dips and rises. Through sweeping turns, the RLX tracks nicely on its low profile, all-season Michelin Primacy MXM4 tires (245/40R19). 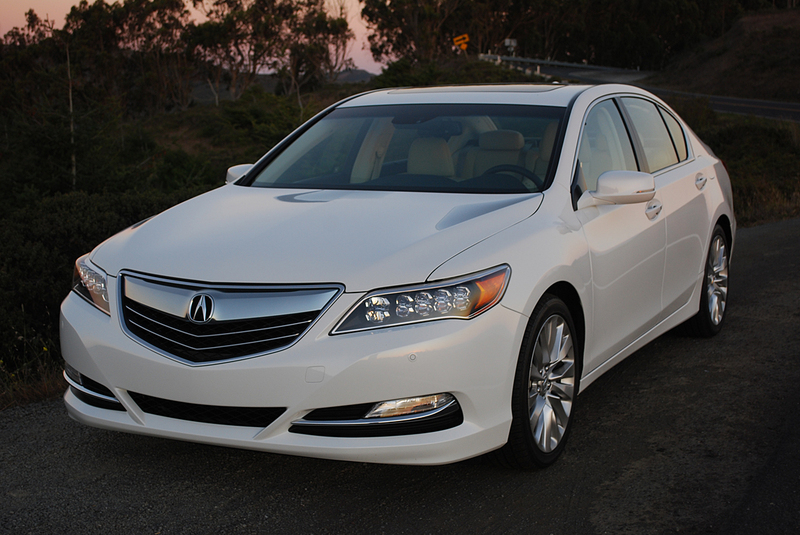 On tighter turns, the front-wheel-drive RLX develops pronounced understeer due to its 61/39 front end weight bias. Fortunately, you can dial up a better snubbed ride and quicker throttle response by engaging Sport mode. Unfortunately. the RLX inexplicably defaults to its soft ride setting whenever the engine is switched off. If you’re looking for a sporty upgrade for your RLX, Acura offers a 370hp V-6 Hybrid combo that should wake up the sleeping giant while returning 30 MPG. The base model V-6 of our test car is good for 20 MPG around town, and 31 MPG on the freeway. One of the most rewarding aspects of Acura ownership is Acura Total Luxury Care (ATLC), which provides you and your RLX with a personalized home page that covers accessories, model specifications, current Acura Financial Services billing, and email reminder notices for service. ATLC also offers 24-hour roadside assistance, and trip planning services that include computerized routing and map information, message relay and airline ticketing. These all inclusive freebies are just part of the housewarming party you’ll get every time you climb into the well tailored cabin of your RLX. If future speak is your native language, RLX is your car.